A Facebook business page is a place for potential customers to learn more about your business. Just like a website, it is a place to establish your business presence. Your customers are online searching for more information about your business. With Facebook and other social media platforms, you have a powerful tool at your disposal to promote your business. What if you already have a website? You might think that having a business page on Facebook might be unnecessary. This is just not the case. Let me explain why. Facebook is a social hub where your customers are spending time interacting with their friends and family. In recent years facebook has also become a hub for business and community organizations. With a business page setup, you can create a following on facebook and reach your ideal audience. Think of a Facebook Business page as another home for your business and a way to attach a personality to your brand. It will also help you cultivate a relationship with your customers. Page Template – There are a few different options when it comes to templates you can choose from. The options are a business, services, venues, non-profit, politicians, restaurant & cafes, shopping, and standard. These different pages change the main call-to-action and the tabs available, so be sure to choose which works best for your business (under settings from the page, then edit page). Call To Action – Setup a CTA (Call-To-Action) button on your page to encourage visitors to take an action. Things you can have customers do include: get in touch, shop, sign up, and more. Facebook recently rolled out some new call-to-action options to give you a wider selection of buttons to display for your page visitors. Customize – your page to your liking with a big beautiful cover photo, your business logo, and personalized comments. You can do things such as create a poll, and claim your custom vanity url for your business page at facebook.com/username. Facebook business pages are easy to manage. You can upload some photos of your products and services, create events and posts about vital business updates, and showcase satisfied customers. Share content from other sources such as your website to your Facebook business page to maximize your reach. Do a giveaway or contest – Create an incentive for people to take action. View insights on actions taken – Facebook offers you the ability to track and view how posts are performing. Use this information to find out what sort of content is most engaging with your customers. Control what appears on your page – You can control who is allowed to post content to your page under general settings. You can change your page moderation settings to block use of specific words. Reviews – Directly on your page, customers can leave a star rating and a review of your business. This is very important as new customers are always looking at reviews for a business before making a decision. Include all your business location information in your description for local SEO. Make sure that you choose the best possible name for your page. The first word of your page name is given the most weight of importance by Google. Just like your business website, importance is given to keywords, so make sure you use certain specific keywords to give your site a boost in the SEO rankings. 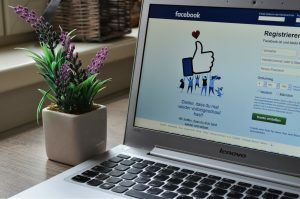 Fill out all the information correctly on your business page and try setting a preferred page audience to help Facebook find your ideal audience. Share content and post updates regularly to encourage interaction and get people thinking about doing business with you. Unfortunately, for a little bit of bad news, organic reach from business pages has been steadily declining over the past few years. The reason for this is more content than ever is being posted in the Newsfeed. Facebook also only provides the most relevant content to users. You have to make your content engaging and relevant to your customers. What if you don’t currently have an audience? You can boost posts, and create engagement advertisements and promote them through your business page. Try going live with a Facebook live video to gain engagement. Video content is now being given more emphasis by Facebook. Today we believe it is vital to have a business presence on Facebook. More businesses than ever are actively using Facebook to reach their audience and customer base.